Nutrite Mesotherapy takes very less time for hair treatment. If you want to take this therapy firstly consult with the hair doctor for treatment. Doctor will appoint you the date for taking the treatment. Second process includes washing the hair and scalp to make it clean and clear. In the next step micro-injections are injected over the scalp which contains essential vitamins and useful substances for your hair follicles which help to re-grow your hairs soon. This procedure takes around 30 minutes to complete. 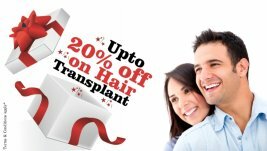 It will take 2-3 months to complete the procedure of treating hairs and around 4 sessions for proper treatment. The Meso therapy can be continued with anti-hair fall solution and platelet rich plasma for long lasting results.